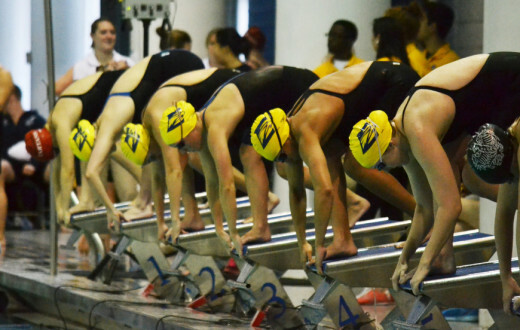 The Emory University Men’s and Women’s Swimming and Diving teams competed in their annual Blue-Gold intrasquad meet this past Friday. Each Eagle spends four years on his or respective intrasquad team, regularly competing in swimming and non-swimming related contests. Among both the men and women, the gold team was victorious. The scores were 186 to 74 and 172 to 126, respectively. Women’s gold team members who contributed to the victory with first place finishes included senior Carolyn Bonfield in the 1,000m freestyle, sophomore Cindy Cheng in the 100m backstroke, junior Claire Liu in the 50m freestyle, senior Elizabeth Aronoff in the 200m breaststroke, freshman Fiona Muir in the 100 butterfly and junior Anneliese Kowalsky in the 200m IM. 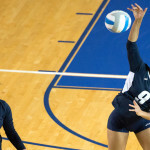 “[The meet] gave us a lot of confidence coming off last week’s loss [to Division I Penn State University], because it gave us a chance to train an extra week and see the results. 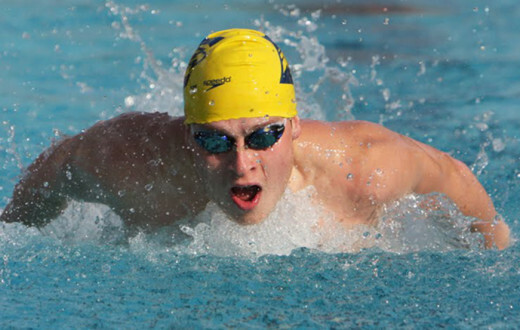 It’s always nice to finish Blue-Gold events with swimming,” Kowalsky said. On the blue side, sophomore Julia Wawer took both the 200m and 500m freestyles, sophomore Phoebe Edwards the 200m butterfly, junior Marissa Bergh the 100m freestyle and senior Ellie Thompson the 200m backstroke. The blue team also won the 200m freestyle relay with the team of freshman Meg Taylor, Wawer, freshman Hannah Baratz and Bergh. The men’s gold team, on the other hand entirely swept the men’s blue team. 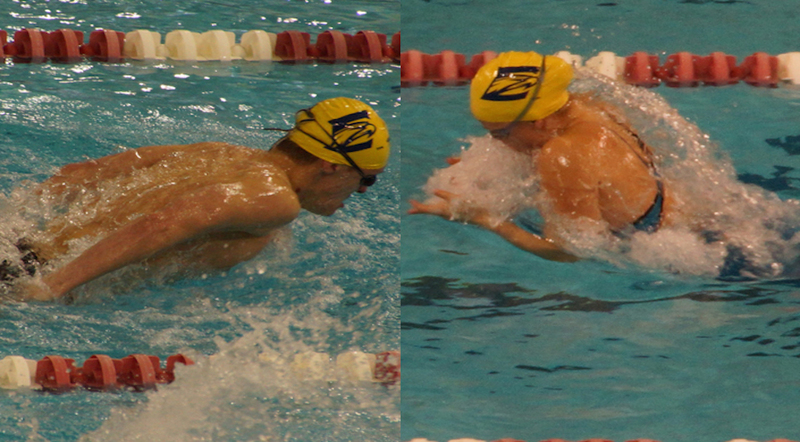 Among the gold team’s winners were junior Mitchell Cooper in the 100m backstroke, 200m backstroke and 200m IM, junior Christian Baker in both the 200m and 500m freestyle, senior John Galvin in the 100m and 200m butterfly, freshman Thomas Gordon in the 1,000m freestyle, sophomore John Copses in the 100m breaststroke, sophomore Oliver Smith in the 50m freestyle, sophomore Alexander Hardwick in the 100m freestyle and sophomore Chandler Lichtefeld in the 200m breaststroke. 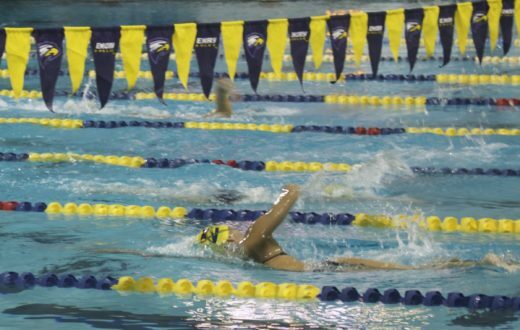 The Eagles have their next meet on Oct.24, when they host Birmingham Southern. 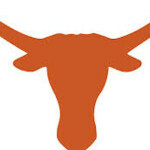 The meet is scheduled for 1:00 p.m. at the Woodruff Physical Education Center (WoodPEC).